Halloween is quickly approaching. I already have my costume (or three) and I’m in the spirit for Halloween themed treats and Hocus Pocus marathons. My husband is a huge fan of Halloween and decorates our house and yard accordingly. 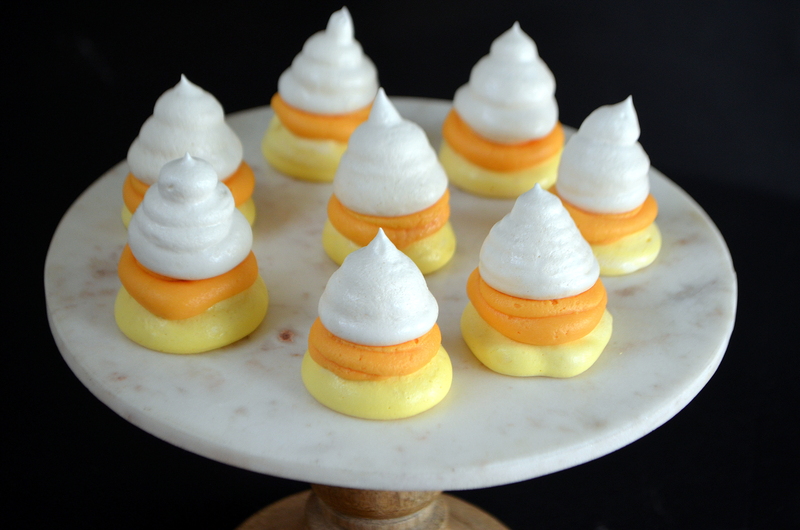 I saw the idea for these cute little frosting filled meringues while searching for pumpkin meringues and couldn’t resist making them. All the fun of macarons with way less effort and failure! Be sure to check out the Vegan Meringue Facebook page for more information about aquafaba! I developed a slight addiction to a Trader Joe’s product called Cookie Butter sometime last year-if you’ve ever tasted it, you can understand why. There are secret underground communities dedicated to worshiping the stuff. 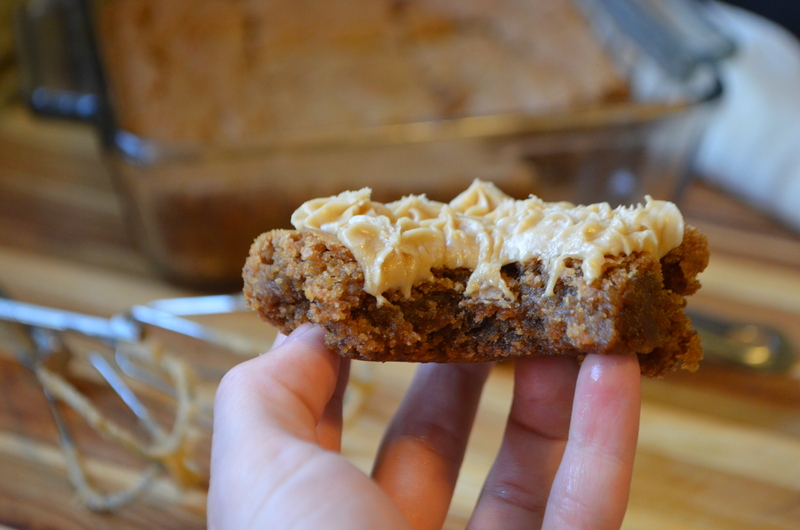 I’m dead serious, just look up cookie butter on Tumblr and browse for about 30 seconds. It combines everything that is good about gingerbread and peanut butter and cookies into one addicting jar. All love fades eventually, though and then you are left with the remnants of your broken relationship. In my case, that’s about 4 jars of cookies butter hiding in a cabinet. I had honestly forgotten about them until the past weekend. I was forced to move everything out of my pantry to make space for a washer and dryer (yay!). Our recent 14 inches of snow inspired me to make a warm, comforting dessert and I knew I could find a use for all that cookie butter. Today is my husband’s birthday and one of his usual requests is something with chocolate. 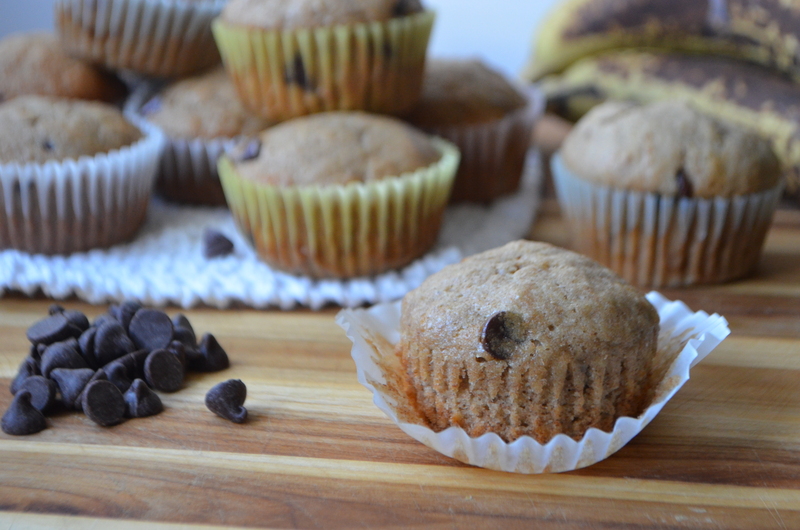 I knew I needed to use up these bananas from my freezer, so chocolate chip banana muffins were a great way to satisfy both his sweet tooth and my desire to declutter. Aquafaba makes a great egg replacer in these muffins and no one would even be able to tell they’re egg and dairy free. I actually brought them in to share with his coworkers and they gobbled them up. 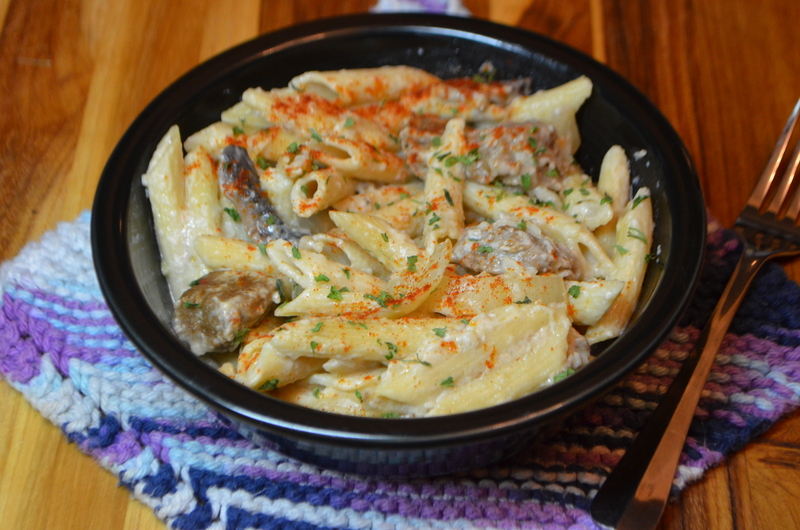 Beef stroganoff was one of the first recipes I tried as a young woman living on my own. It failed pretty miserably and was only deemed “okay…but too sour” by my then-boyfriend. Since then, I’ve improved my recipe and gone vegan. This dish is even more delicious due to my addition of extra mushrooms in the vegan version. I’m going to be completely honest in writing the post. I actually screwed up this recipe in my own impatience, resulting in seized chocolate in my mousse. However, the recipe itself should work if you have more patience than I. My advice to you is to stir slowly and add your chocolate to your meringue a little bit at a time. Also, definitely wait for it to be at room temperature. If you happen to screw it up like I did, just pour some more chocolate on top. Your husband won’t notice unless he’s a French chef. And in that case, why isn’t he making you dinner? We’ve been watching a lot of Parks and Recreation lately and there’s a lot of talk about calzones. Personally, I was never a huge fan of calzones. I think this picture sums it up. I may have changed my mind after last night. These were delicious and VERY filling. Try drinking a brown ale with these-since it’s autumn, I’d suggest Sierra Nevada’s Tumbler.